The Advocate magazine is the oldest running LGBT print magazine in country. 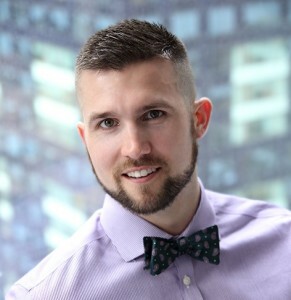 Editor in Chief, Matthew Breen joined us this month to talk about how the magazine is evolving to keep up with the explosion of LGBT news and the Internet. He talked about how the publication has diversified its content to provide on-demand and emerging news online while maintaining a bi-monthly print publication that takes a closer look at the people making LGBT news. The Advocate continues to have great influence both politically and socially. Matt explained how The Advocate’s new mobile app works and how listeners can stay connected to the LGBT community. The Advocate is one of our major sources of news for our weekly Outbeat News segments. With Valentines Day this month, we explored the world of online dating with one of the original dating sites, gay.com. Brett Edward Stout was on to talk about how gay.com recently reinvented itself. It is now an online community offering users the chance to search for everything from a hook-up to a life partner. The site is literally an online social center offering connections, news, and entertainment. Brett talked about how gay.com is different from other sites in way users can set up expanded profiles. It really is about making connections on a variety of levels and for many purposes. On this month’s Outbeat Youth segment, we shared the courageous story of Jacob Rudolph who came out to his entire high school during an awards ceremony.